One of the most useful features of duct tape and other cloth based tapes, at least in conventional uses, is its hand tearability. No tools needed. 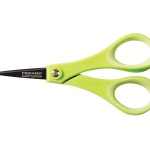 The development of duct tape and gaffers tape as crafting products has changed that, and one of the world’s best known tape makers is teaming up with a giant in the world of scissor manufacturing to make a line of scissors specifically for tape crafts. 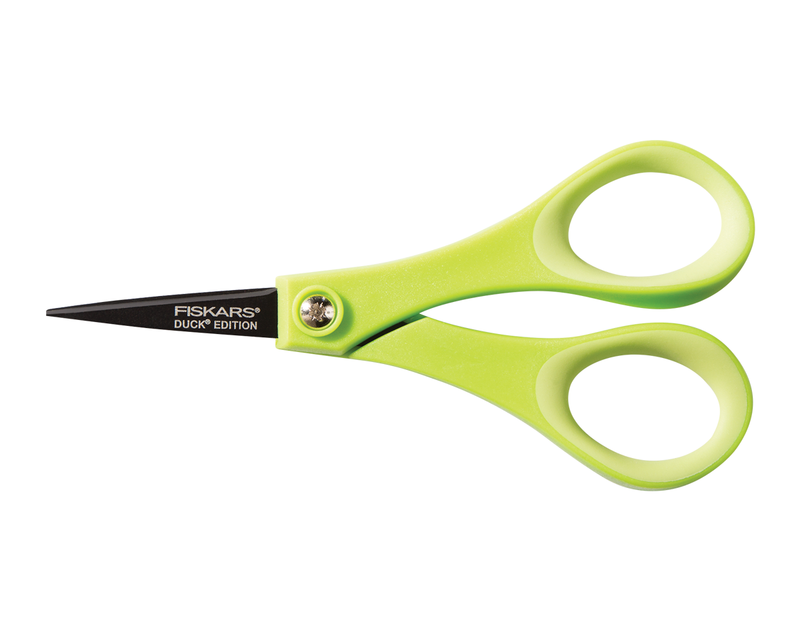 Duck Brand, the maker of Duck Tape and Fiskars, the well known scissor maker, are working together to release the Duck Edition Detail Scissors. These cutting tools, available in 5 inch and 8 inch versions feature a non-stick coating on the blade that should keep small pieces of tape from gumming up the works. You can learn more and enter a contest that is part of the product roll out by clicking here. « Enough Tape To Cover The Earth?